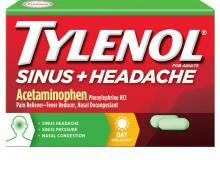 Love Tylenol Sinus Severe! I had never tried it before and a friend recommended, after taking the first, my headache due to my sinuses went away INSTANTLY. Im so glad someone told me about Tylenol, i had been having a headache for 2 whole days and wasnt going away with anything! This product releaves your stuffy nose and headaches real fast less then 25 minutes after taken. This medicine works wonders. The only thing is it upsets my stomach. As soon as I take it, It makes me feel sick but this stuff WORKS so I can’t complain I just try to eat something before I take it. It clears me up almost instantly. Thanks for writing this review! Nos encantaría charlar un poco más sobre esto, así que te pedimos que nos llames al 1-877-895-3665 entre las 9 a.m. y las 5:30 p.m. ET, de lunes a viernes. ¡Esperamos saber de ti pronto! Helps really good with what it is needed for. I used the sinus and it cleared it within 30 to 40 minutes and I felt really good. Thank you tylenol. My sinus headache/pressure/congestion was getting the best of me after taking a sudafed and laid in bed half the day suffering with no relief! Got to the point where relief was desperately needed and googled sinus severe medication. Viola! 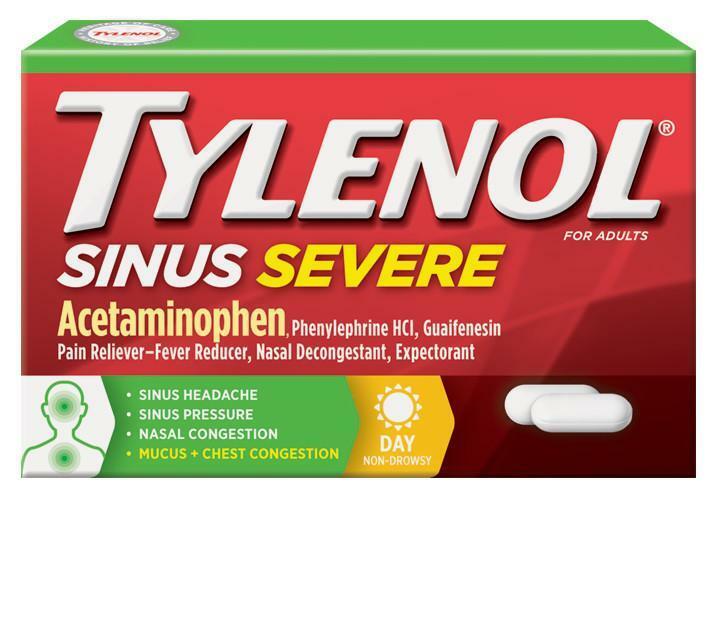 Tylenol medication sinus severe got a lot of good reviews and could read what other people were suffering the sinus pressure, etc Got this and took about an 1 hour for relief and felt like myself again! If you’re suffering with sinus severely, take this!!! !